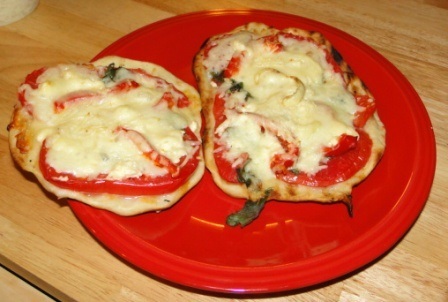 GRILLED PIZZA WITH VINE-RIPENED TOMATOES! 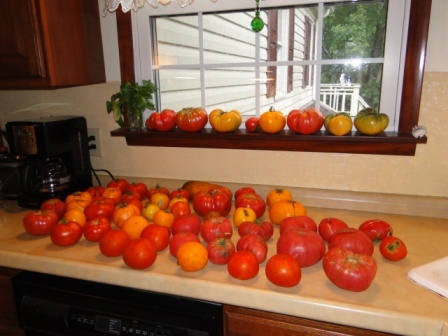 From my gardening book From Seed to Table, here’s one of my favorite recipes when the tomatoes are overflowing the kitchen window sills. I miss having our garden this year, but thank goodness for local food markets and farmers markets. And to celebrate the harvest, you can download the book for only $0.99 on Kindle by clicking here. This recipe is one I’ve been perfecting over the past several years, and it’s best made with the freshest of tomatoes from the garden. Pizza is personal. I’m sharing my personal recipe, but you may find other toppings you like better. Just like with pie, it all starts with the crust. You can buy pizza dough, but this recipe is pretty basic and easy to make. Beat yeast, sugar, and water until well blended. Let rest for a few minutes. Add salt and flour and mix until dough forms. Knead on floured board until smooth (three-five minutes). Place in a warm bowl coated with olive oil. Cover with damp towel and leave in a warm spot. Allow to rise until dough doubles (approximately an hour). Punch down dough and roll into oblong roll on floured board. (I usually cut dough in half and place one portion in a freezer bag and freeze). Cut into ten to twelve (full dough recipe) or five to six pieces and roll each into a ball. Roll out each ball into a thin circle, approximately six inches in diameter and place on cookie coated with olive oil. The smaller the individual pizzas, the easier it will be to put them on the grill. Grill at 400 degrees Fahrenheit on side with oil for two minutes or until a crust forms on the one side. The trickiest part of the whole process is making sure the crusts don’t burn on the grill. You know your grill best. I’ve learned to do this by trial and error and mostly by hovering near the grill and watching. After one side is grilled, make sure cookie sheet is still coated with olive oil and place crusts back on the cookie sheet with grilled side up. You are now ready to put the ingredients on top of the grilled side. Place sliced tomatoes on the grilled side of crust. Sprinkle minced garlic evenly on top of tomatoes to taste. Salt and pepper the tomatoes to taste. Sprinkle basil and feta over tomatoes. Put on peppers. Finish with the mozzarella cheese. You’re now ready to put back on the hot grill. You must be very careful at this point so you don’t burn the bottom of the crusts. Again, I’ve had to learn from practice. For my gas grill (which is very old), this method works the best. I put the pizzas on the hot grill and shut the cover leaving burners on high. After 2-3 minutes (without opening the lid), I turn off the grill and let the pizzas sit while the grill cools down. After 20 minutes, the cheese is melted and the crusts are not burned. Sometimes I put the pizzas on the cookie sheet and place under the broiler for one minute to ensure a bubbly cheesy top. Sprinkle the finished product with Parmesan cheese. 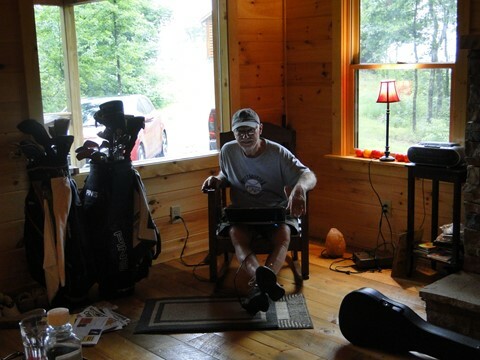 My review for a lovely book set in the Smoky Mountains. 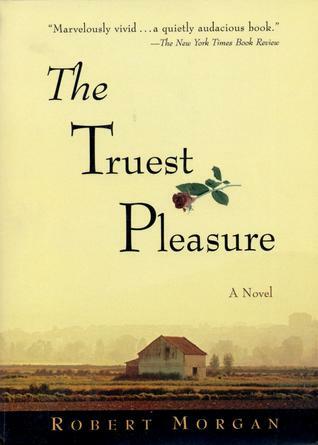 I wrote about my experience with reading The Truest Pleasure by Robert Morgan on the blog Silver Threading in July. Click here to read my post for Mindful Monday and the personal impact the novel had on my life. My life has been one big box of junk for the past three months. I’ve posted enough about that move. If you’re like me and you’re behind on your blog reading, here’s a list of my previous posts. Just click on the title to read. 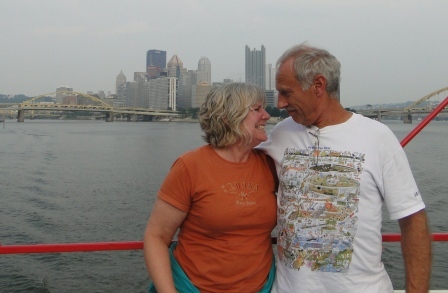 We’re still in transition with a part of us in North Carolina, some sections in Pittsburgh, and a whole lot in a storage unit waiting to move to Florida (sorry, furniture, but you’ll have to spend the winter in Freedom, PA). But at least the packing is done, and we are grateful to the family member who is allowing us to stay in an empty condo while my husband continues his job, and we’re grateful for that little piece of heaven down in Murphy, North Carolina. Along the way, I learned some important lessons about one of life’s most stressful events – THE MOVE. 1. 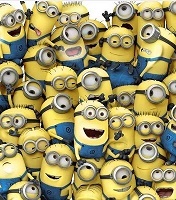 Minions – Every night when I went to bed, minions entered the house and added more stuff. I would clean a closet, a cupboard, a shelf, it didn’t matter. Yet, when I returned in the morning more items appeared on the shelves I’d emptied the day before. 2. Hangers – Hangers are the rabbits of inanimate objects. I figured out that for every hanger left on the rack, ten more reproduced in the course of a day. This phenomenon is real and not imagined by me. Ask the minions – they come in at night to watch. Creepy little dudes. 3. 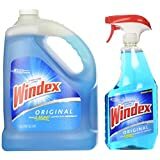 Windex® – Windex is a miracle cure for everything. I learned this from watching the movie, My Big Fat Greek Wedding. One day, while in a frantic state to finish all the tasks for the buyers of our house, I was stung by a wasp. I had to mow the lawn before the rain came, yet all medical supplies had been boxed and moved, except for the few things the minions left on the kitchen counter the night before. I ran in the house and saw the bottle of Windex, sprayed my chest and the bite, and ran back out to the mower. The bite disappeared without redness or swelling. I guess the minions can be helpful after all. 4. Scientists – My husband with his brilliant engineering/scientific mind surprised me when it came time to get those boxes packed. He finally went down to the basement and garage area of our home and began sorting and putting things in the boxes I provided. I presented him with his own large Sharpie® and packing tape. “Why do I need these?” he asked. I explained about taping boxes shut, which he thought silly when he could just fold down the four sides. “But movers are putting these in the storage unit, so they need to be taped.” He understood, but he stared at the Sharpie as if I’d brought him a cockroach. “Why do I need a marker?” Again, I explained that we were moving things to three different locations and the destination needed to be designated on every box. Plus, I wanted him to indicate what might be in the box. “We’ll just move everything to the storage unit and open them up to see what’s inside,” he said in his very logical scientific mind. No, we won’t is the paraphrased version of my response. He did mark his boxes, but still questioned the necessity of such a thing. He didn’t understand that we had more than one hundred boxes going to different locations. His mind was on getting all of his junk treasures off the shelves. I love that man, but his mind works at angles so very different from my own. Somehow we pulled it off, and now we spend a few months in transition between Pennsylvania and North Carolina. It’s a suspended sort of time until he retires and our home in Florida becomes available. At first, not really being settled for months bothered me and my A-type personality. 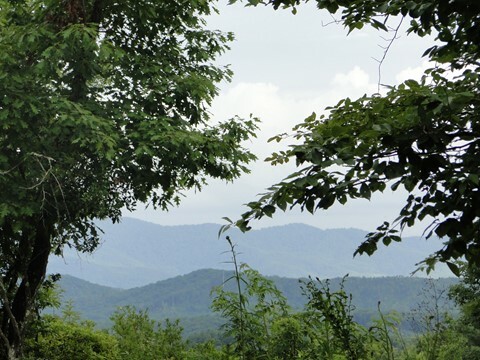 But when I came to the mountains, I gazed out over the Smokies and something changed. I don’t know if it’s the mountain air or the realization that hit me as I sat with my husband amid the boxes and chaos of our current life. With him, no matter the location or situation, I am home. Forget the minions, hangers, Windex, and Sharpies–home resides somewhere beyond the physical. Perhaps that’s the sole reason our timing was so screwed up this year. I needed this time to realize my real home is right where I am at any given time. My daughter visited our new home recently. 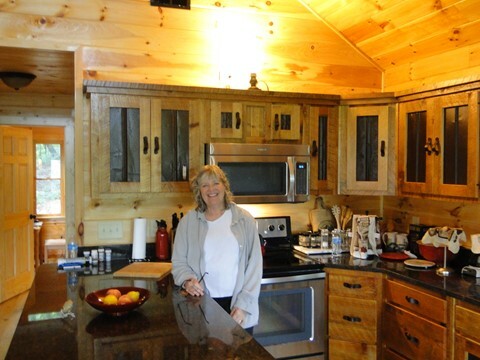 A day after her arrival, she looked around the cabin with boxes strewn here and there. “You’re different here, Mom.” How so? “You aren’t worried about making everything perfect,” she said. No, I’m not, and that’s because it already is.